Like any other business, your cycle shop may be vulnerable to a number of risks and uncertainties. Taking out business insurance for your shop's assets - such as its stock and employees - can help to guard against these threats and protect your business’s finances. The term 'cycle shop insurance' does not refer to one single product; it's a broad term for a retailer that encompasses the various covers you may require for your business at some point in time. Choosing the right type of insurance largely depends on what you consider as your biggest risks – and your attitude to these risks. There are likely to be a number of assets that you want to protect with insurance, and the exact makeup of your policy will reflect that. It’s likely to be the case that the cover you have in place will be different to another bike shop’s insurance, so it’s important that you take the time to consider which policies may be most relevant and beneficial to you. If you own your premises, it’s likely you’ll want to guard against the cost of damage that could result from risks such as fire, flood or malicious damage. Shops and premises cover can provide this protection, helping to pay for repairs or replacements if the bricks and mortar, fixtures or fittings of your cycle shop building are compromised. For example, if a vehicle were to crash into part of your cycle shop’s wall, the damage may prove costly and interrupt your day-to-day operation. Business buildings insurance helps to cover the cost involved in repairing and rebuilding your bike shop after such an event. Imagine a metal rack used to store bicycles unexpectedly breaks. As a result, it may cause damage to many of the other products in your shop and you may not be in a financial position to cover the unexpected repair bills. With contents and stock insurance, you could afford to tackle such a situation and avoid the negative financial impact it might otherwise have on your business. Your electrical fittings, fixtures and all your goods can be covered under this area of your policy, too. It can also protect against loss resulting from theft. You may have employees assisting with the running of your business. If so, it is a legal requirement to have employers’ liability insurance in place, regardless of the number of people you employ. As an employer, you are liable for their safety while they’re carrying out their working duties. If an employee injures themselves or falls ill as a result of their work they’re carrying out for your business, they may have the right to claim compensation. At such times, including employers’ liability insurance in your cycle shop insurance can help to cover the expenses you may incur as a result. In the event of accidents that injure customers – or damage their property – while they’re in your cycle shop, you could be held responsible for the incident. As such, there’s a risk they may file a complaint against you for negligence. Public liability insurance can cover the expenses in case of compensation or legal proceedings that may follow. Although this form of insurance is not a legal requirement, it can be worthwhile for businesses that deal with the public on a daily basis. Due to the nature of your business, there are chances that the bikes you sell could cause harm to a third party. With product liability cover you can be protected against claims made by third parties for damage or injury they suffer from one of your products. However, the important point to note here is that this cover does not apply in case of reckless behaviour of a third party – or a fault caused by the manufacturer of the product. For a more comprehensive look at product liability insurance, visit our 'what is product liability insurance' page. There may be times when you’re forced to stop trading due to damage to your business, like a flood – or a fault in the supply chain. For example, extreme snowfall could disrupt your business and prevent deliveries of stock from reaching your store. During this time, you may experience financial difficulties as your losses start to increase. Business interruption insurance could cover your overheads and compensate you for the revenue you lose during the time it takes for you to recuperate these expenses. When purchasing insurance for your cycle shop, it’s important that you consider your business in its entirety – including any features that may require specialised cover. Although the aforementioned types of insurance are likely to form the basis of your cycle shop’s policy, the list is by no means exhaustive. In fact, the likelihood is that you will want to include a number of other types of cover, or perhaps tailor the wording of certain policies to meet your exact needs. For instance, it could be the case that your cycle shop offers a repair service to customers. In this situation, your insurance policy may have to account for the additional liability you would have for customers’ belongings. There is a chance that you could be held liable for causing damage to a customer’s bike through repairing it, in which case you may have to pay to rectify the damage. This could be a costly affair – especially if the bike was a specialist racing bike. 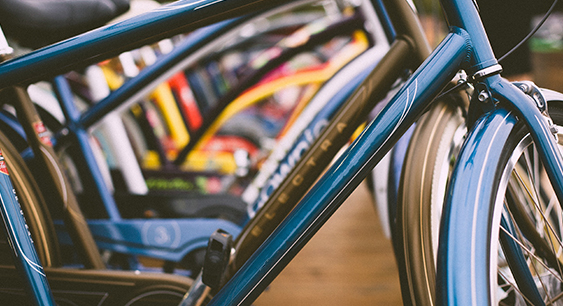 The range of products that your shop stocks could also require bespoke cycle shop insurance. For example, the contents and stock cover of a cycle shop only selling bicycles and a handful of accessories would look very different to that of a shop with a wider range of products including clothing, footwear, repair kits and similar goods. Perhaps your cycle shop takes part in events such as demonstrations, workshops or cycle shows. If so, the protection provided by your existing insurance – for example public and employers’ liability - would be unlikely to extend to such situations. For activities taking place outside of your usual business premises, you would need to purchase separate cover – whether on a one-off basis or as a regular feature of your overall policy. The bottom line is that your insurance policy should be tailored to your cycle shop’s requirements– whatever they may be. To get your no obligation quote for cycle shop insurance, give Make It Cheaper Financial Services a call. One of our insurance experts will have a short and simple conversation with you about your business’s needs, and provide you with a bespoke insurance quote based on your requirements. Click the ‘get a quote button below, or call 0800 970 0077 today.